Our Swindon store is packed with everything for the fishkeeper, with plenty of surprises to be found in our fish house. With a host of wonderful species on offer, there's sure to be something to please any avid aquarist. However if we don't have the fish you are looking for, our friendly staff will be more than happy to source it for you. Our staff are all enthusiasts and will be only too pleased to show you all the latest gadgets and products on the market. With a wealth of experience, their fishkeeping advice is second to none. Whether you are new to the hobby or a seasoned aquarist, we'd love to see you. 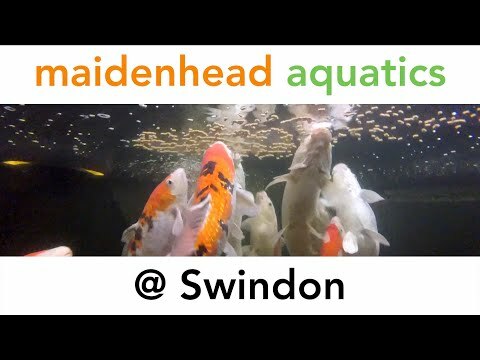 With all this as well as as some superb offers all year round, Maidenhead Aquatics at Swindon is a must for all fishkeepers.